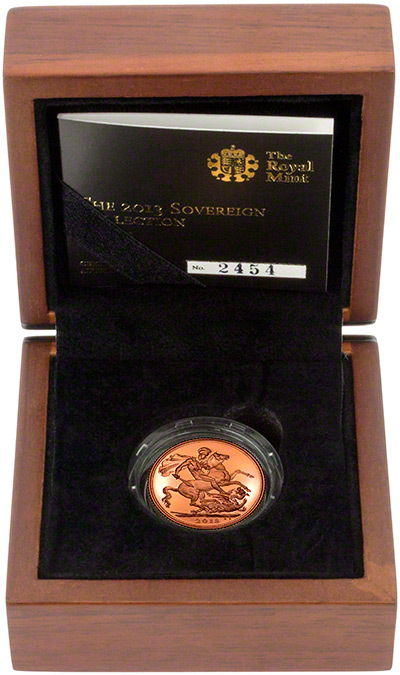 We received our first delivery of 2013 bullion sovereigns on Monday 19th November 2012 and the proof version arrived on Thursday 22nd November 2012. As always the proof coin is presented in a box with a certificate of authenticity whereas the packaging for the uncirculated coin has changed. 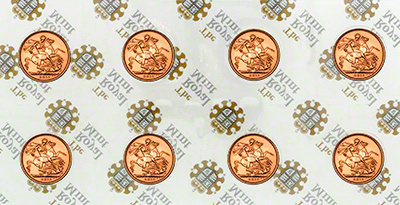 Since the year 2000 when production of the uncirculated sovereigns resumed the coins have been supplied in a sealed plastic sheet - we have then cut the sheet in to the quantities required. However, as The Royal Mint have decided to market the uncirculated coins more heavily as bullion they have changed the packaging and these coins are now delivered in tubes of 25. If you order quantities less than 25, or not in multiples of 25 then your coins will be delivered in a small resealable plastic bag. You may purchase a leatherette box below for your coin. Chard are usually able to offer delivery within two working days of an order being placed and paid for in full (unless stated otherwise on the product page) - the majority of the time it is the next working day. The certificate that accompanies the proof sovereign states that the Limited Edition Presentation is 7,500 but that the Maximum Coin Mintage is 10,295 - presumably the other 2,795 will be included in the two three coin sets and the five coin set. 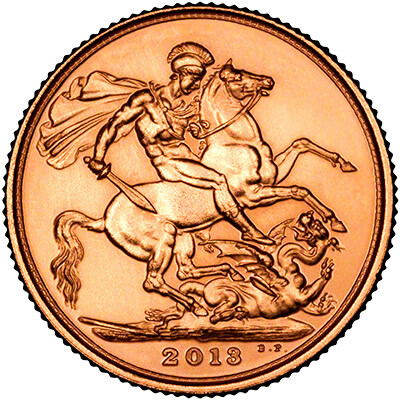 We continue to offer the 2013 proof products at a discount off the official Royal Mint issue price and the uncirculated / bullion sovereign at mugh bigger savings. 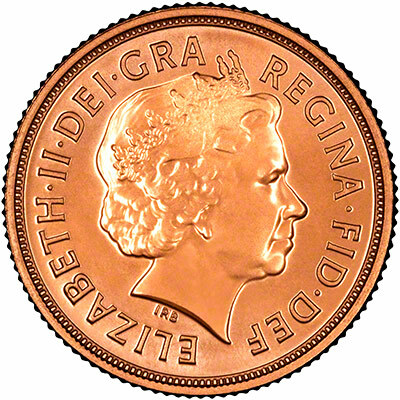 The Royal Mint normally increase the price of their products every year but after such a significant increase for the 2012 products they have kept them the same this year. We still believe that older proof sovereigns represent much better value, but obviously many collectors prefer to have one of each date or the date 2013 may be of importance for births, birthdays, or other celebrations. When compared to the Royal Mint price of £325.00 you will make a saving of £50.00 per item when ordering from us.